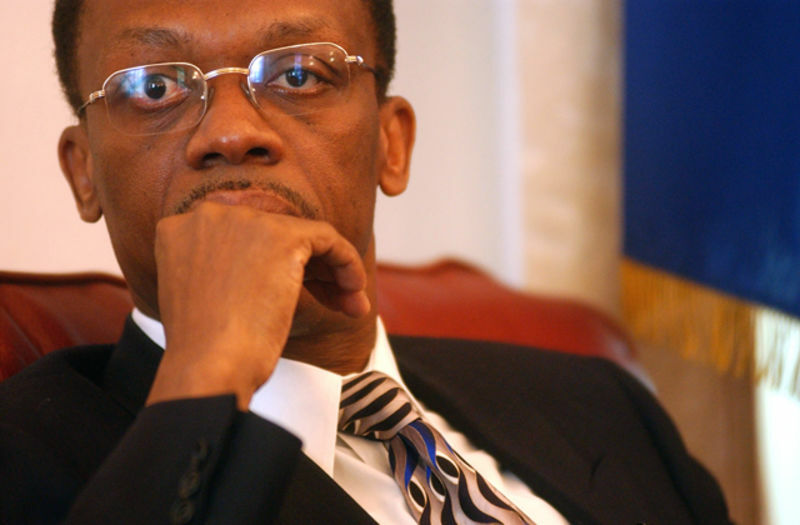 A U.S. plan to donate a million pounds of free peanuts to Haiti could destroy the Haitian peanut farming economy. Some even “denounced the peanut donation as ‘a plan of death.’” Instead, why not give a million pounds of peanuts to me? 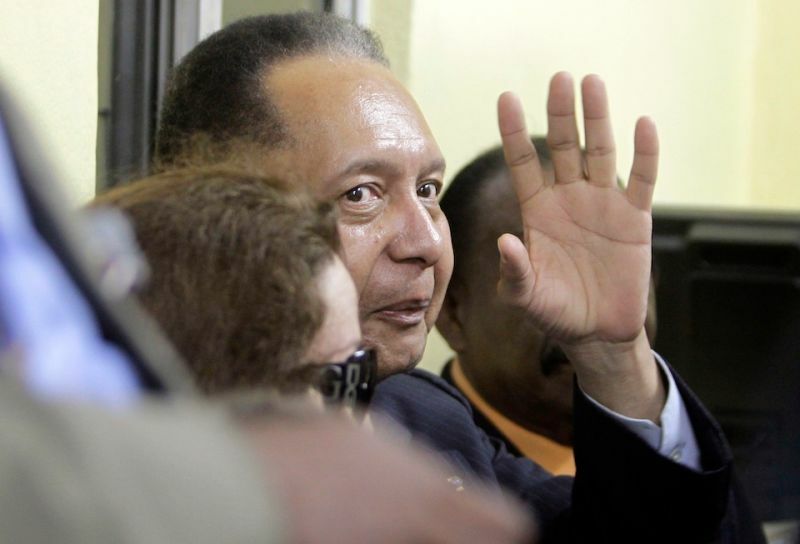 Jean-Claude "Baby Doc" Duvalier, former dictator of Haiti, has died of a heart attack, his lawyer reports. He was 63 years old. 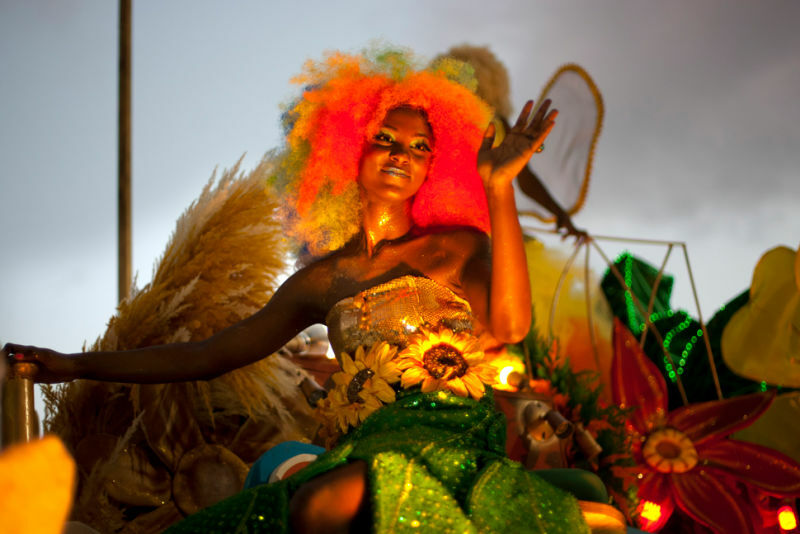 A woman waves from a float during the Carnaval des Fleurs in Port-au-Prince, Haiti, Monday. 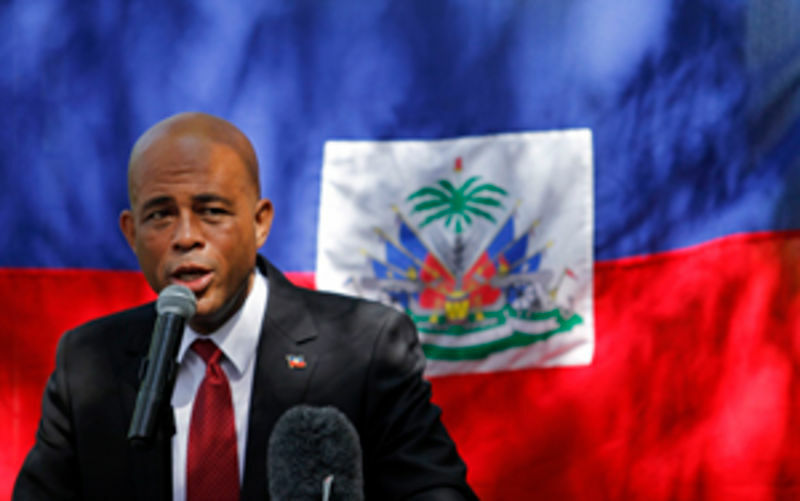 The three-day celebration was started by President Michel Martelly in 2012 as a summer tourist attraction; 22,000 people attended the carnival last year. Image by Dieu Nalio Chery via AP. Dodge. Parry. Thrust. Also, drop the épée. Take off that dumb facemask and grab one of them dull machetes over there. Count your fingers up, just to be sure. Okay, now you're ready for sport. Let ol' Alfred Avril, aka "Papa Machete," show you the ropes. Halfway through the trailer for Ben Stiller's remake of The Secret Life of Walter Mitty, the title daydreamer—stuck in the rat race with boring men in boring suits at Life magazine— lifts his eyes from his desk toward a photograph on a bulletin board. Now here's the payoff, when staid reality breaks into excitement, and the nebbishy lead is drawn into the world of fantasy and adventure that Fox is betting will win our $12 and two hours come Christmas. 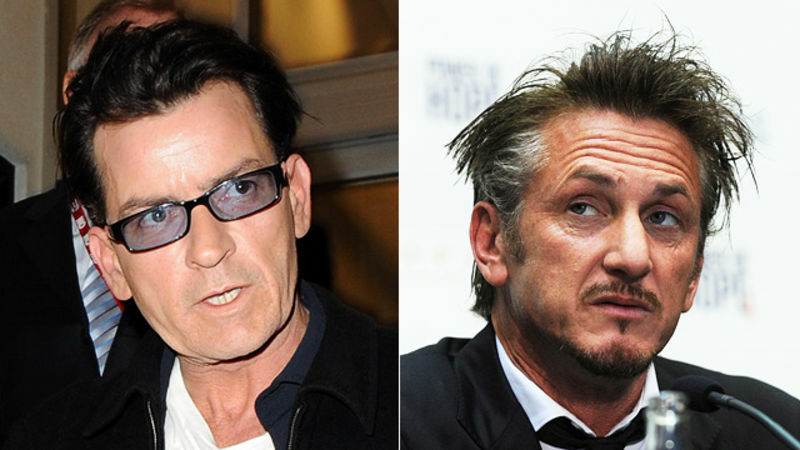 It's a photo of Sean Penn. 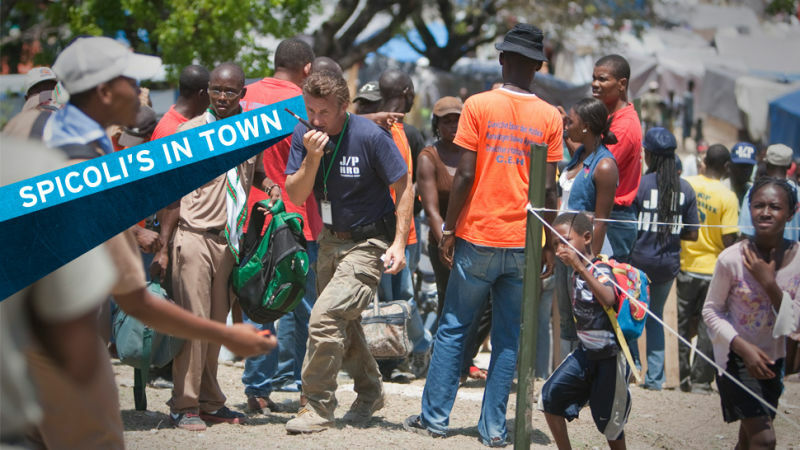 Remember how Wyclef Jean promised to clean up his sham charity last year after it started raising $1 million a day in the wake of the earthquake in Haiti? Guess what. 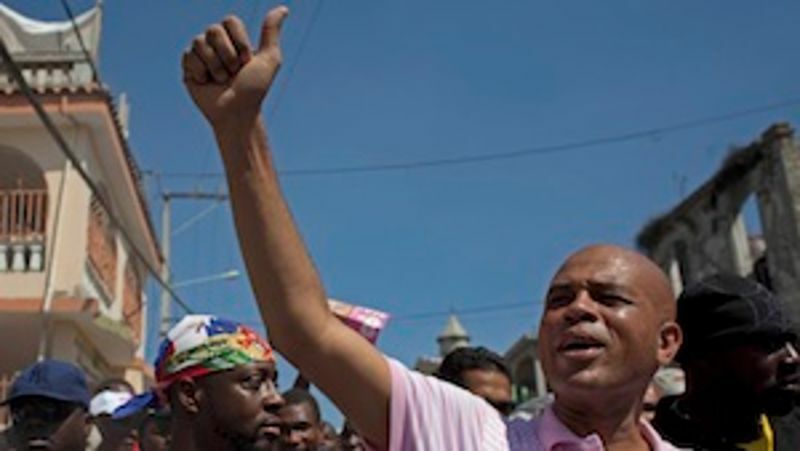 Former singer Michel "Sweet Micky" Martelly was sworn in as Haiti's new president today in a ceremony where, unsurprisingly, the electricity cut out. Sweet Micky has a long road ahead of him. 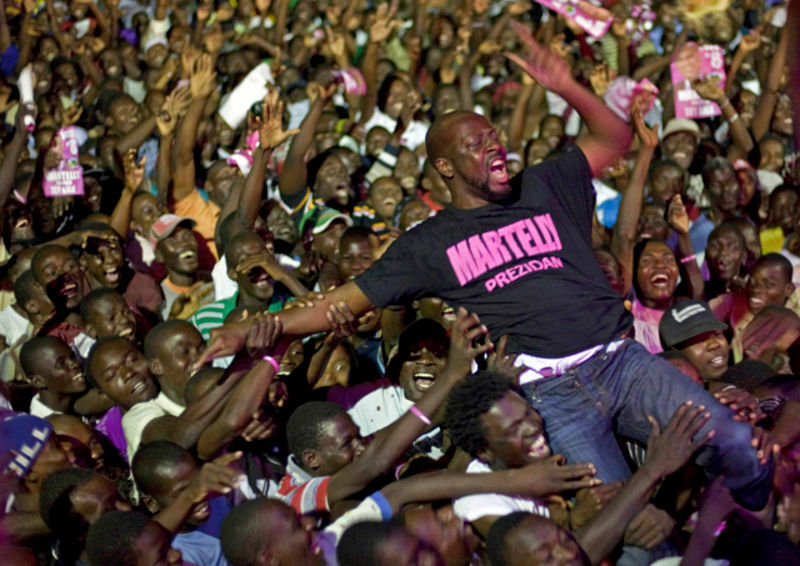 Gawker's favorite New Jersey humanitarian, Wyclef Jean, was shot in the hand at a political rally for Haitian presidential candidate, musician Michel Martelly last night. But he's okay! 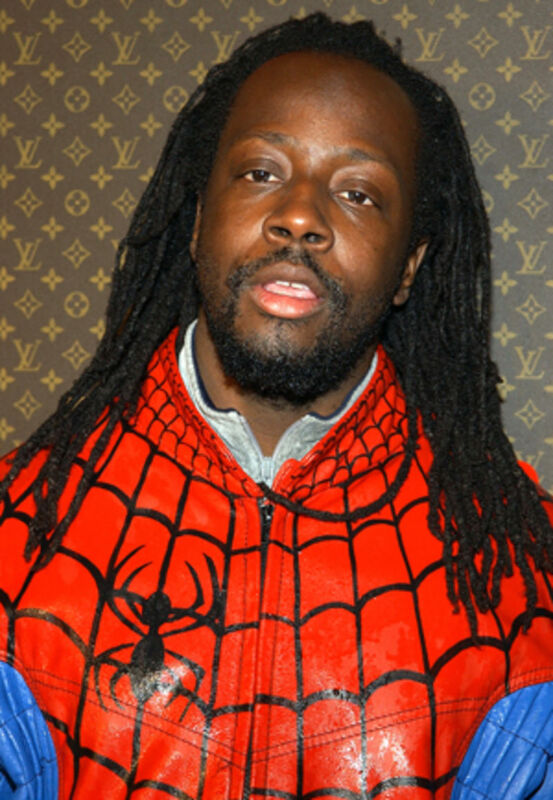 According to Wyclef's spokesperson, "He was shot in the hand last night. He was released from the hospital. He's fine now. It happened late yesterday night and he was released after a couple hours." She added that the bullet "just grazed his hand." 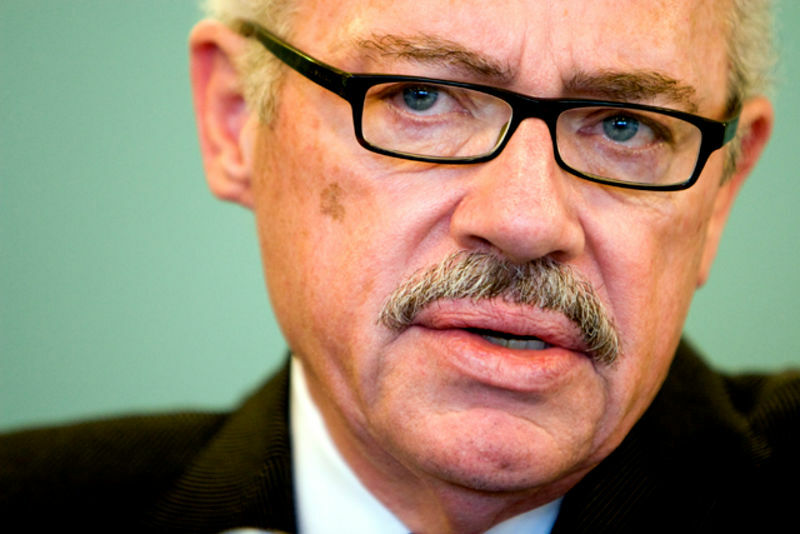 Former Libertarian congressman Bob Barr, who helped "manage" the impeachment of Bill Clinton, has found his life's calling: He's assisting murderous ex-Haitian dictator Jean-Claude "Baby Doc" Duvalier in his bizarre return to the island, which Barr calls "a personal trip." Former Haitian dictator Jean-Claude "Baby Doc" Duvalier has been charged with corruption and embezzlement days after his return to Haiti. Jean-Claude "Baby Doc" Duvalier, the former Haitian dictator forced into exile in 1986, has returned to Haiti for the first time in 25 years. Why? No one knows. But it's probably totally innocent and non-sinister! 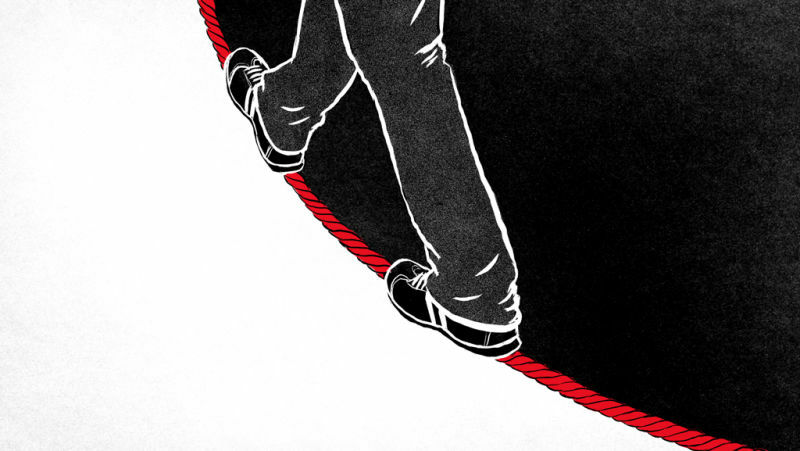 The Way We Live Now: reflecting on the long-term implications of our situation. And they ain't good. They just ain't. There's no getting around it. The currency's not bouncing back. The wages are down for good. And Haiti's fucked forever. 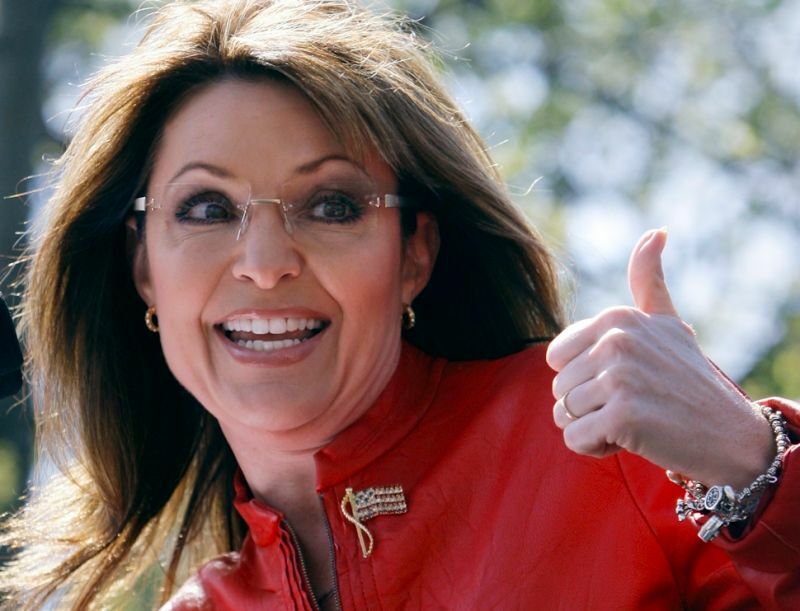 Jet-setter Sarah Palin just can't stop scheduling overseas trips. She'll go to England and Israel in the new year, but first, she's heading to Haiti with Franklin Graham's Christian charity group, amidst scary post-election violence. 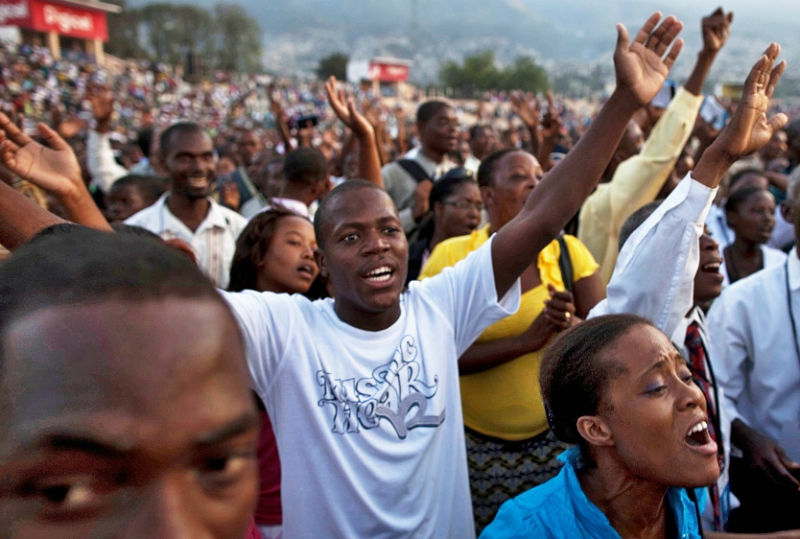 That cholera epidemic sweeping Haiti? Probably the fault of U.N. peacekeepers. 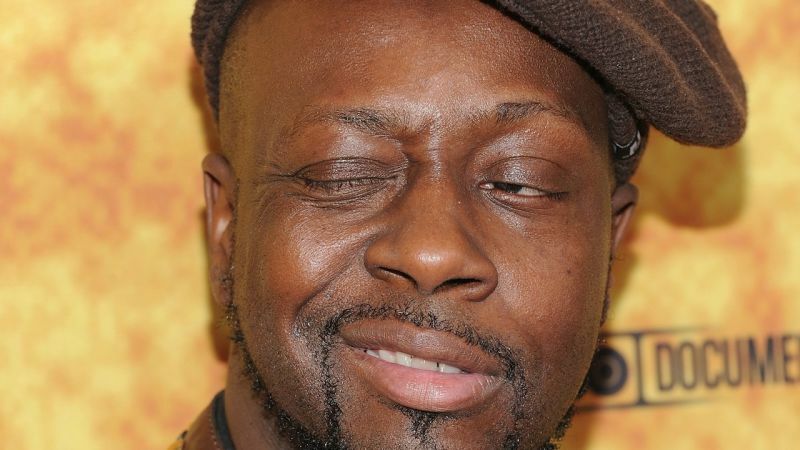 Wyclef Jean's new EP is out today, and the Guardian caught up with him. He sometimes speaks in the third person, and knows he's the man: "Fans on Twitter call me the modern-day Fela or Marley or Dylan, you know."